“Happy and fascinated!” That was the answer of Fr Jose Correa, Advisor for Costa Rica and Central America, to the question, “How do the families from Costa Rica feel in Schoenstatt?” Eight couples, two youth and a Schoenstatt Father are taking part in the World Meeting of Families in Dublin and joined up with other couples from Costa Rica who had already arrived iearlier n Dublin. Before that they wee spending a few days in Schoenstatt. Now they aren’t only participants. 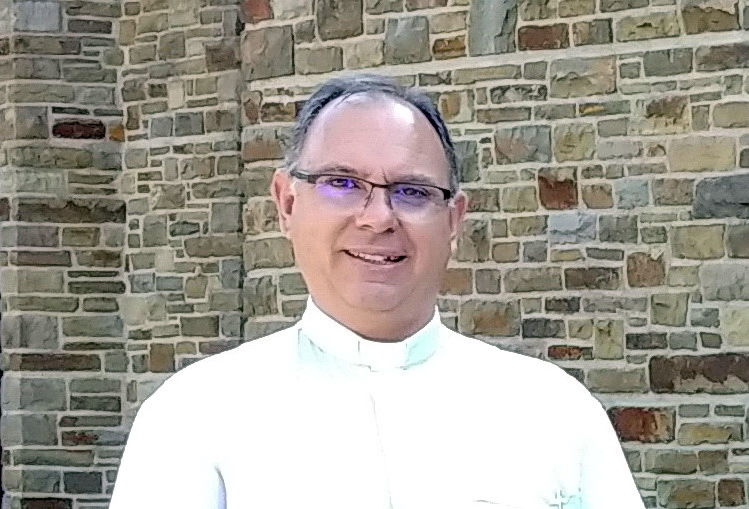 They are organising and setting up the meeting of the Schoenstatt Families (and all other Schoenstatters), which will take place on 25 August in St Joseph’s parish, East Wall. They started their pilgrimage to Schoenstatt on Friday, 17 August, with Holy Mass in the Original Shrine, which was a particularly impressive experience for those couples who were visiting Schoenstatt for the first time – which is the majority! 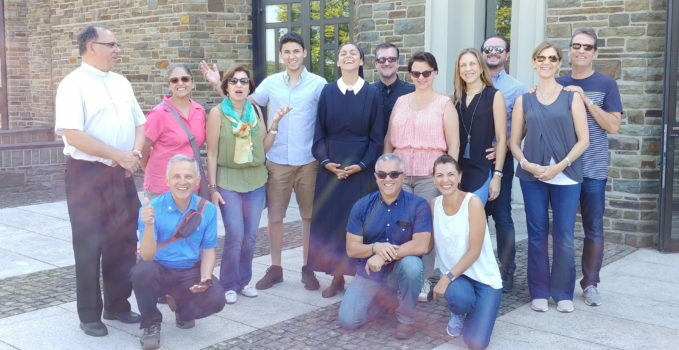 “And then Schoenstatt welcomed them with brilliant sunshine from the first moment to make a good first impression”, Fr Jose Luis Correa continued. They were happy that they can simply stroll from where they are staying in the Marienau and reach the Original Shrine in a few minutes. They also enjoyed the Covenant Mass on Saturday, 18 August, at which more than fifty priests concelebrated, thanks to the presence of the superiors of the Schoenstatt Fathers from all over the world, as well as many priests belonging to the Schoenstatt Institute of Diocesan Priests. Some priests from Burundi provided the musical setting for the Mass, which contributed to the international atmosphere. 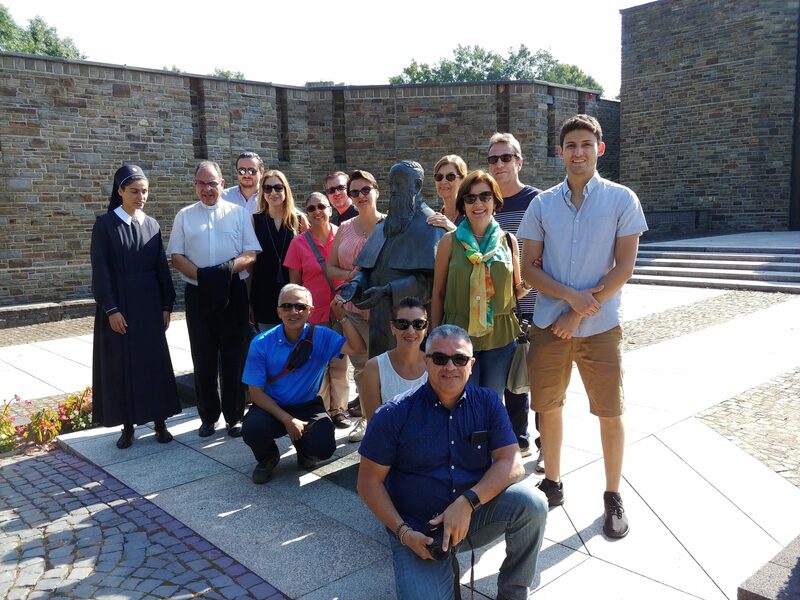 On Sunday morning, 19th, the pilgrims visited the “museum” on Mount Schoenstatt (which is how they described the Father Kentenich House), as well as Fr Kentenich’s grave in the Church of the Blessed Trinity. 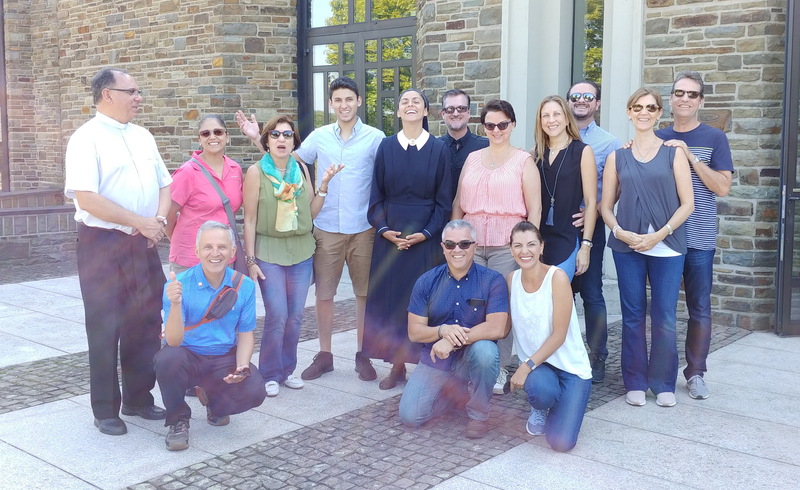 In the afternoon they visited Mount Sion and Mount Moriah, and on Monday they went to Gymnich to visit the place where Fr Kentenich was born. On Tuesday, after Holy Mass in the Original Shrine, they left for Dublin. The idea of preparing for and organising the meeting of Schoenstatters in Dublin was raised during the conference for educator families of the Family Federation last April in Costa Rica. It had already been decided that a delegation would travel to Dublin, and when people heard that some things were still missing, they didn’t hesitate for long. 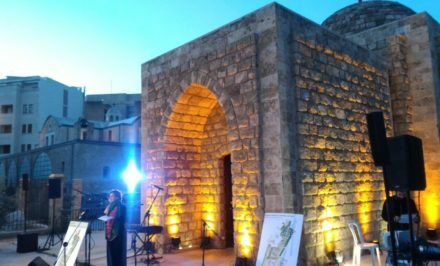 The couples looked for a meeting place and prepared a Holy Mass in a number of languages; they invited Fr Alexandre Awi and Mr & Mrs Moser, sent out invitations and much more. They also prepared intensively on a spiritual level by using the preparatory catechesis, and prayer and study. We talked about the preparations, their expectations, their anticipation, while we walked from the Adoration Church to the entrance of the museum, where they spontaneously gathered around the statue of Fr Kentenich. It had been made by the same artist, Juan Fernandez, who made a similar statue waiting for its journey to Costa Rica. 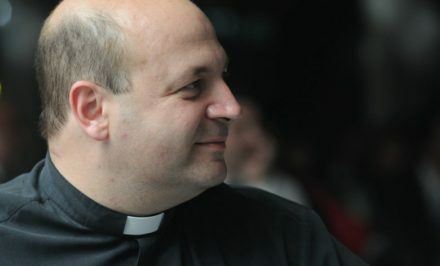 Around 150 families will be taking part in the World Meeting of Families – even if they are only from groups organised by the Schoenstatt Movement in Germany, USA, Chile, Argentina … We can be sure there will be many more, Fr Jose Luis Correa said, who will participate in delegations from their dioceses and countries. The official delegation from the Chilean Church, for example, is composed of members engaged in the family pastorate, led by Jose Manuel Borgono and Monica Undurraga, who are members of the Schoenstatt Family League. A Sister of Mary, Sr Maria Eugenia, is also a member of this delegation. A team is coming from Germany that has prepared and will care for the Schoenstatt stand at the World Meeting. 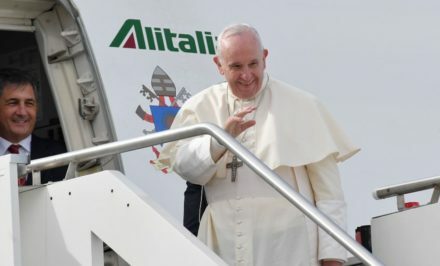 It will present various projects concerned with family life and the apostolate for families, for example, Family Misiones, Family Academies, the Marriage Camino. 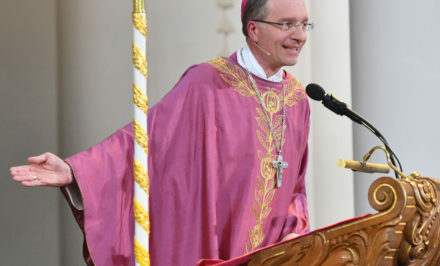 Arno Hernandi, who is responsible for the stand of the Family Movement, last week asked the editors of Schoenstatt.org for help with proofreading English texts (Overnight Express, obviously!). He wanted to have brochures on schoenstatt.org that he could give to people “in which one can inform them about Schoenstatt in various languages, as well as the Family Movement.” However, we don’t have brochures, only very simple business cards, so Arno Hernandi created a postcard without further ado. 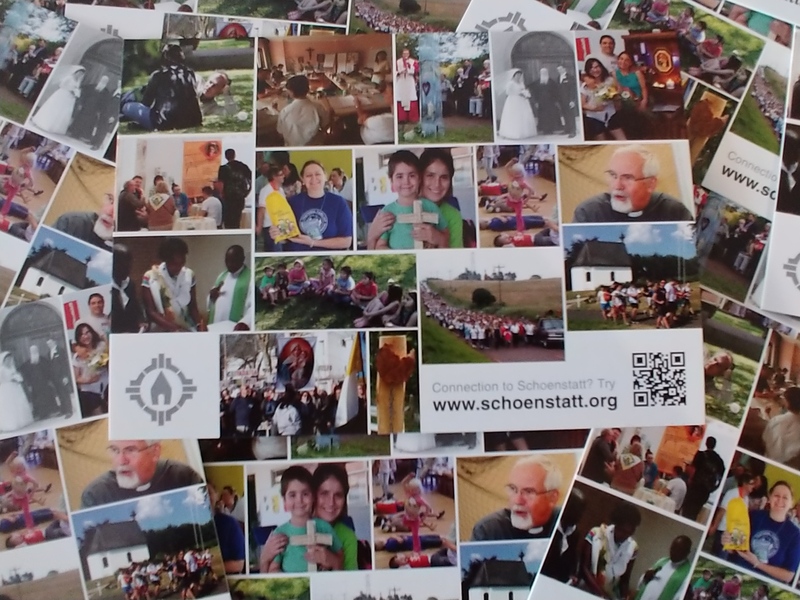 It now advertises not only Schoenstatt.org, but also the proven definition of Schoenstatt on the reverse, taken from Schoenstatt.org The best part is that the card shows Schoenstatt’s many faces. The Costa Rican couples gladly took along 500 cards from printed surplus to distribute them in Dublin. After the World Meeting of Families in Dublin, the couples from Costa Rica will still spend four days in Rome. 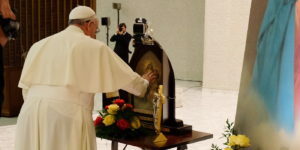 They have accommodation very close to the Vatican and want to celebrate in the heart of the Church the Dilexit Eccesiam that moves Schoenstatt fifty years after the death of the founder. Zion of the Father: How time has passed!